We have given more detailed analysis on the amenities, development status of each block, proposed external and internal road network etc in this article. The Society is registered under Rawalpindi Development Authority (RDA) as well as the Registrar Cooperative Housing Societies Department of Islamabad Capital Territory (ICT) administration. 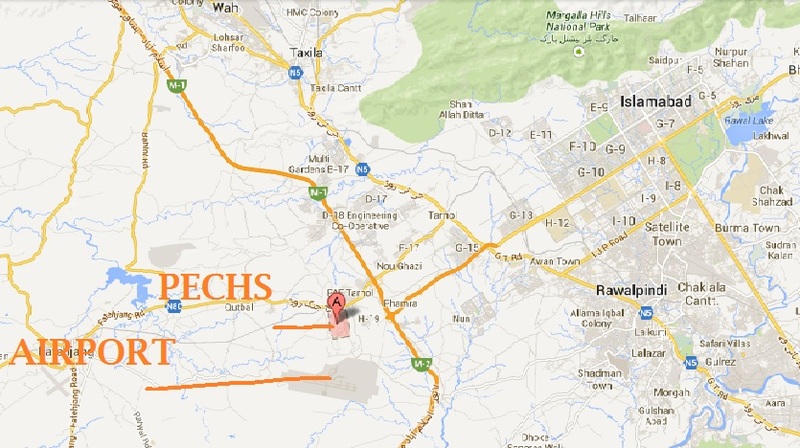 PECHS Islamabad lies at a very prime location just next to New Islamabad International Airport. Its current entrance is from Fateh Jang Road just off the PAF Fazaia Housing Society Tarnol. Its second entrance is planned from Kashmir Highway that will pass just along the K block of the society, where a link road will connect Kashmir Highway to the Jinnah Avenue of PECHS. As per the approved road network, It will be the first society that people will pass along when coming from the airport and the last society when going to the airport. 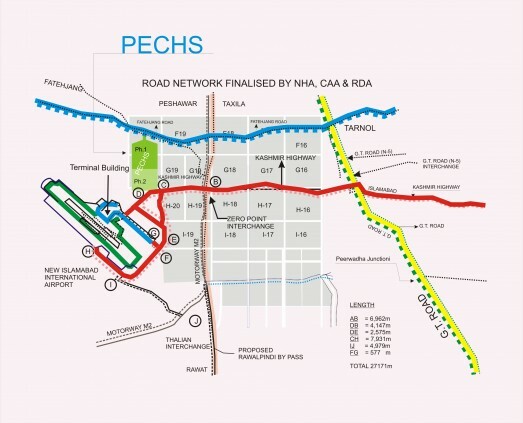 Apart from prime location and good access network of roads, PECHS Islamabad is the only developed society near New Islamabad Airport. More than 70% of the society has been given possession which includes A, B, C, D, E, F, K blocks, while part of F, G and H and M blocks do not have possession yet. The society has all utilities available i.e. water, electricity, gas, sewerage, roads, streets, streetlights etc. This Society is also ideal due to having good level of underground water, so people can use boring to draw out fresh and sweet water at their homes. Extol is the developer of PECHS Islamabad which is a private developer company working in collaboration with the society. Extol owns the land which it develops. PECHS issues allotment letters against all plots launched by Extol on the name of Mr. Gohar Rabbani Awan who is the director of Extol, and Extol is authorized to sell plots on installment to general public. Once you pay your due installments to Extol, you can get your allotment letter from PECHS Society on your name. Extol has successfully developed K block within record time and now the development of M block is in progress at rapid pace. Possession of M block is expected by the Mid of 2014. Development standards of EXTOL are considered to be better than the Society’s own development in older developed blocks. PECHS Islamabad lies at a distance of about 25 Kilometer from the Zero Point but as per the master plan of Islamabad, New Zero Point will be located at Motorway Interchange and its distance from the society will be less than 3 Kilometers. With the completion of Kashmir Highway, its distance from current Zero Point will be reduced to less than 20 kilometers. It is the closest society to the new Islamabad international airport. Approximate distance of Airport current gate from its K block is more or less 1 KM. Being closest to the airport makes it the most prominent society in the area where potential for residential and commercial activities is expected to be higher than other neighboring housing schemes. PECHS Islamabad is an ideal society in terms of investment due to its prime location just adjacent to the new Islamabad International Airport. 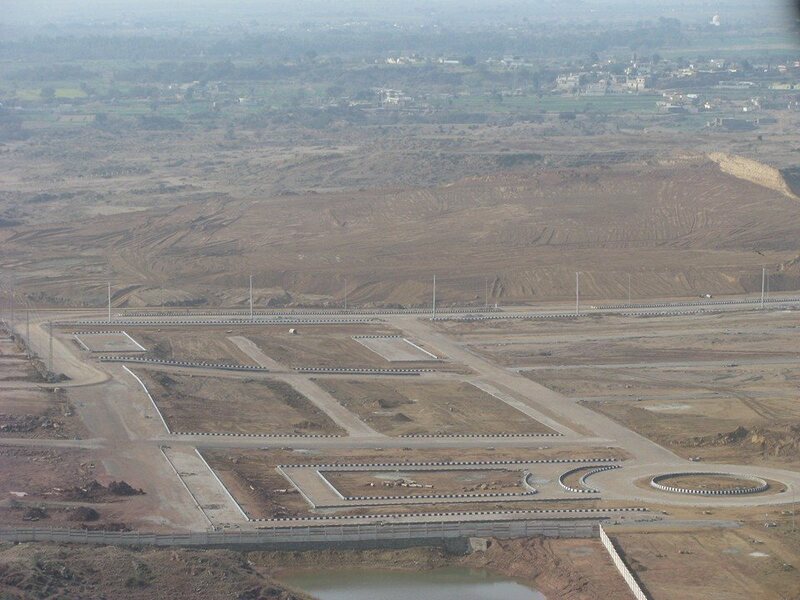 The new airport is expected to be completed by the first quarter of 2015, which is the biggest development in Islamabad. The government has planned commercial corridors on Kashmir Highway leading towards the Airport, which implies that commercial activities will increase in that area. Investors and businessmen running their businesses in that area will definitely require some good place for residence close-by. PECHS is expected to serve the most of these residential needs. More residential requirements will follow after the activity starts in that area. Thousands of visitors come to Islamabad daily who usually stay for a few days in guest houses. The society will be an ideal place for them to stay for a couple of days in Islamabad due to being close to the airport and not very far from zero point. Therefore, the investment in PECHS is stable and rewarding, and the potential is directly linked with the developments at the airport. Besides this potential, it is a cooperative society and a safe investment as compared with other neighboring private housing schemes. PECHS is expanding its boundaries due to the ever-increasing demand of property on this side of Islamabad. Earlier it had launched its K block and few extension thereafter which have been developed now and possession is expected very soon. Another block was launched about a year ago called M block just opposite to K block. That is the only block which offers multiple plot sizes and a beautiful layout plan which includes large commercial area in the center separated by wide 100ft roads and residential plots ranging from 5 marla up to 1.5 kanal. One Extension of M block has already launched and almost booked, and another extension is expected to be launched very soon with revised prices. If you need some specific information about PECHS Society, you can use online chat feature or contact us via email or phone using the information given on contact us page.